I made this illustration for competition called Future Detective. 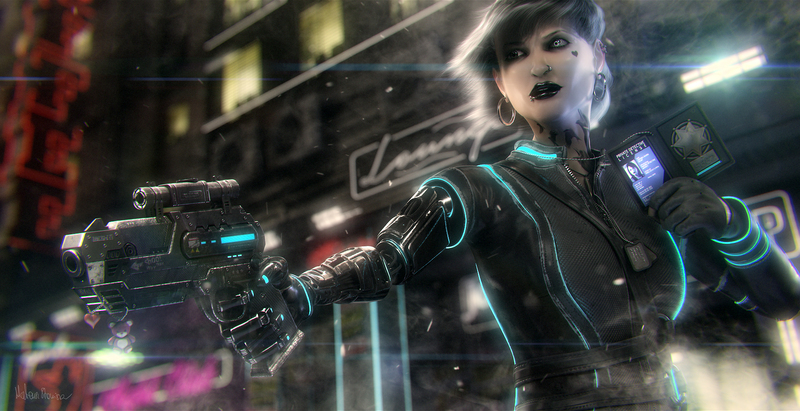 Agent Raven Heart during her work in police, lost her right arm during the fateful action. After the incident, she was moved away from the active duty and she was offered only the lower-paying office work. There wasn't also a chance of an arm prosthesis refund. Heart decided to leave to become a detective for hire. However, this was associated with high loan for a hi-tec arm prosthesis. To repay the loan she takes each order, especially the most dangerous.